4.0 out of 5 based on 72 bloggers and 6 commenters. 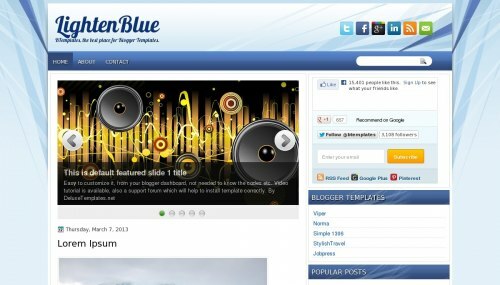 LightenBlue is a free blogger template with 2 columns, right sidebar, footer columns, slider, social bookmarking icons, abstract and vectorial elements. Please help with this! I don’t know to edit codes. :( Will you help me out to install his template?! Thanks I will try to my blog..